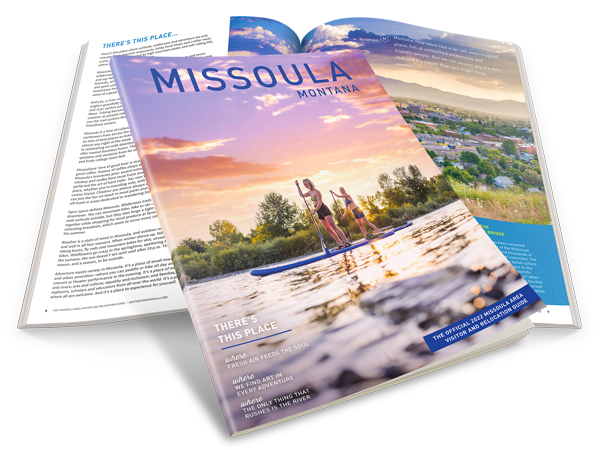 Disc golf courses in Missoula (also known as folf or frisbee golf) are a great way to leisurely enjoy the great outdoors. Missoula has several disc golf courses scattered throughout town. If you’re a beginner, you are in a perfect place to learn. Local Missoula folfers are friendly and helpful; often letting you play through their slower moving and larger groups. The hiker's course. This area spreads across a large expanse on the face of Blue Mountain located just south of Missoula. The first half of the course is mostly open with occasional tree obstacles that can block the view of the basket, followed by the second half of the course which dives down into the wooded ravines of Blue Mountain. The second half can require a skilled hand at tree-dodging; though the fairways themselves are fairly clear if you can keep from playing in the rough. Overall, a "big-arm" course that requires plenty of long shots. A technical course set in the Pattee Canyon recreation area that will find the player in amongst the trees after the first few holes. Often over-crowded after the 5:00pm work hour has been reached, this course is likely the most popular course in the valley and around Missoula with a waiting line gathering at the first hole. This crowd, however, is no reason to skip this course as it provides a great challenge for folf players of all skill levels. A chance to run a game of disc golf on a traditional golf course. Linda Vista folf course operates during the off-season when the course isn’t being used for regular golf. For more information visit their website or give them a call at 406-251-3655. Take the lift ride to the top! Seriously, you get a view before you start playing, and during the course of play you are awarded plenty of views of the Missoula Valley when teeing down the 1,100+ ft. hole that plays down a ski run. The added bonus of this course is that it boasts a restaurant and bar at the base of the lift near the parking lot.